The beginning of the end? Xerxes defeated at Salamis and Plataea? Word came out in the last few days that the combined might of the tiny 'craft' beer industry had outsold Budweiser in 2013, 16.1 million barrels to 16 million barrels. Not all of Anheuser-Busch InBev, mind you, just one of its beers. "Budweiser volumes have declined in the U.S. for 25 years, from its nearly 50-million-barrel peak in 1988 to 16 million barrels last year." This regicide took not one, or two, or even several 'craft' breweries to accomplish. It took the entire total sales of every single one of all 'craft' breweries in America, all 2,768 combined, to dethrone this already ailing one beer, Budweiser. To look forward, look back in history. Did the Greeks rejoice less because they needed a combined effort of disparate Greek tribes, at 480 B.C., to defeat the Persians, the mightiest army and navy then yet seen in human history? Uh, no. Mark the day, today. 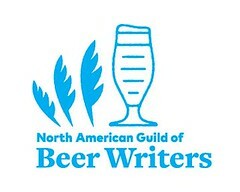 It's a 'craft' beer world, baby! A barrel is not an actual thing, but a unit of liquid volume measurement, equaling 31 gallons. 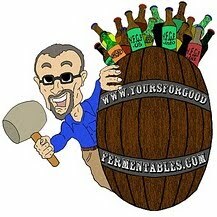 In the beer world, one barrel is the equivalent of 13.78 cases of beer (24 12-ounce bottles). Doing the math, in 2013, 220,480,000 cases of Budweiser were sold, whereas 221,858,000 cases of 'craft' beer were sold.